Murky water is an excellent cloak, masking underwater features and objects from view. Sound can pierce straight through the murk by traveling around suspended particles in the water with minimal scattering. But sound's penetrating ability, thanks to its relatively long wavelengths, also means that it is difficult to "see" underwater objects in any detail. Scientists are currently developing a new sonar technique that can image objects only a few inches in size. For more than a hundred years, scientists have used sonar (SOund Navigation And Ranging) to pierce underwater depths, but the most common technique, called side-scan sonar, works best on very large objects like shipwrecks or the contours of the ocean floor. 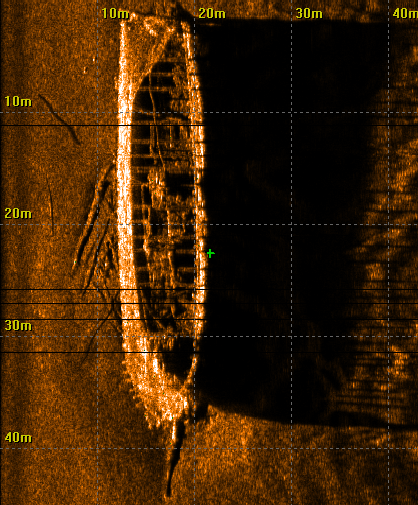 Image of the shipwreck "Aid" in Estonia using side-scan sonar. In this method, a sonar device emits pulses of sound (or "pings") as it scans over an underwater area and listens for the echo of the sound reflecting off objects. The time it takes the echo to arrive determines how far away the object is. The frequency of sound used in side-scan sonar can be very high, around 500 kHz (the highest frequency humans can hear is about 20 kHz). A sonar device emits sound and listens for the echo off nearby objects. 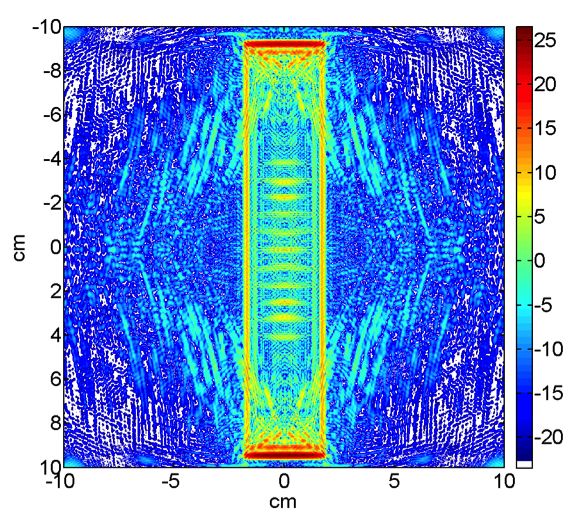 In recent years, a much higher-resolution technique called coherent sonar has been developed, with new progress by Daniel Plotnick, a physics graduate student at Washington State University, and his supervisor, Philip Marston. They have managed to image underwater objects only a few inches in length and will present their work tomorrow at the annual meeting of the American Physical Society Northwest Section in Pullman, Washington. "Our hope is that we can provide tools for studying the underwater environment, which is notoriously difficult," said Plotnick, lead author on the work. rotated as the sonar device listens for echoes. The technique involves rotating around an underwater object, effectively creating a bigger "eye" that can resolve smaller details. 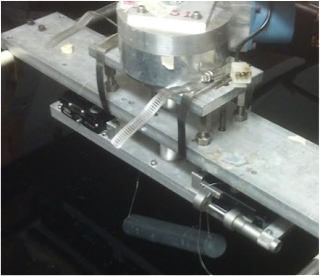 Plotnick, Marston, and their collaborators suspended a 1.5 inch by 7.5 inch metal cylinder in a tank of clear, fresh water. A speaker emitted a pulse of ultrasonic sound every time the cylinder rotated by a quarter of a degree. By listening for the echoes and carefully processing the data, the team was able to create a sonar image of the cylinder with much finer detail than is typically possible. 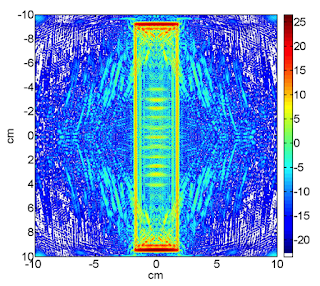 The sonar image of a small metal cylinder imaged with sound frequencies between 100 and 700 kHz. Image courtesy of Daniel Plotnick, Marston Research Group, Washington State University. 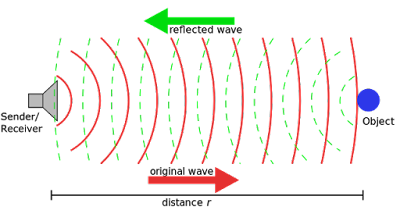 The method is similar to the techniques used in medical ultrasound, seismology of the Earth's interior, and radar, which uses reflected radio waves instead of sound to detect objects. "We also look at the way an object rings (think of ringing a bell) when struck by sound," said Plotnick. This allows the team to detect clues about an object's shape and composition. For the moment, the researchers are continuing to test their technique in the lab, in collaboration with researchers at the University of Washington. According to Plotnick, real world oceans will add an extra challenge because of their changing temperatures, currents, and salinity. In the future, Plotnick suggested this high-resolution sonar can help environmental cleanup efforts around military sites. "Sonar offers a potential tool in locating objects for cleanup. ... if the water is murky you cannot do this by eyes alone." Daniel Plotnick and Philip Marston have published their work in the Journal of the Acoustical Society of America. In case you want to improve your english or grades I recommend you to buy essay. The dissertation writers in the best dissertation writing service are well educated and they have the deep knowledge in all the areas. They are conducting in-depth research on the topic in a unique way to complete the dissertations. They are formatting the contents properly as per the customer’s choice.